When Atal Bihari Vajpayee and Jiang Zemin decided in 2003 to appoint Special Representatives (SRs) to explore and presumably accelerate “the framework of a boundary settlement” between India and China, little did they imagine that their vast but disputed borderlands would end up casting a dark shadow on the overall bilateral relationship seven years later. The Line of Actual Control in the western and eastern sectors may be extraordinarily tranquil but the artificially speeded up prospect of a boundary settlement has increased the salience of territoriality at a time when the relationship most needs a de-territorialised agenda. China and India are confronting the same set of challenges that their spectacular rise has exposed them to, from globalisation and its imbalances to transnational security threats, environmental degradation, piracy, maritime security and political instability in various parts of Asia. As the two preeminent powers of the Asian region, India and China have an enormous responsibility to discharge — and discharge jointly. The burden they carry is too great to allow either the kind of assertive, ‘go-it-alone’ strategy the Chinese seem to favour or the ‘bandwagoning with an off-shore balancer’ that the Indians appear to prefer. Instead of focussing inward on their disputed border, the two countries need to look together at the wider region and its challenges and see how the pooling of equities they do so well on global issues like trade, financial rebalancing and climate change can also occur on the Asian front. But this is not happening. Two years ago, the Chinese side implicitly started questioning the status of Jammu and Kashmir by giving Indians domiciled in the State a loose-leaf ‘stapled’ visa instead of the regular visa given to Indians from elsewhere. That China regarded Arunachal Pradesh as disputed and was pressing a claim in the SRs talks for what it calls ‘Southern Tibet’ was well known. But the stridency of its assertions — especially its objections to Indian leaders visiting the north-eastern State — took the Indian side by surprise. On their part, some Indian military commanders muddied the waters by making irresponsible public pronouncements which have fuelled both the jingoism and insecurity of a hyper-nationalist media and middle class. 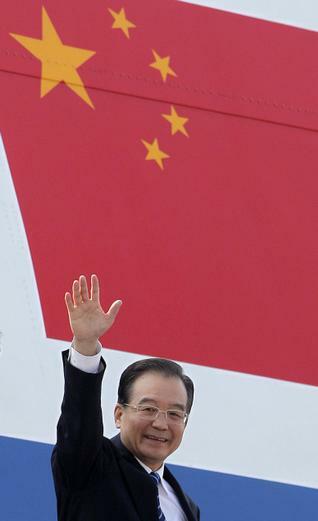 The suggestion made on background by some Indian officials that China’s claims to the whole of Arunachal Pradesh violated the “political principles and parameters” governing the boundary settlement agreed to by both sides (because of the reference there to due regard being paid to the wishes of settled populations) may also have pushed Beijing into a more assertive mode. After all, from the Chinese point of view, if that were to mean all settled areas automatically belong to India then why are the SRs still negotiating? Whatever the causes, however, it is clear that the prioritised quest for a boundary settlement, far from bringing the two countries closer, has emerged as a source of irritation and even tension. In their own way, it seems as if both countries are aware of this negative dynamic. That is why, at their 13th round of talks in 2009 and again at the 14th round in Beijing last month, the two SRs opened a door for a wider discussion on issues of political and strategic concern. Hopefully, this new discussion will help ‘de-territorialise’ the relationship. The broad contours of the way New Delhi looks at Beijing were spelt out in a remarkable speech to the Observer Research Foundation by Foreign Secretary Nirupama Rao on December 3. In the wider strategic community, there are other issues which tend to get flagged such as the ‘string of pearls’ thesis and the fear that China is “encircling” India by building close relations with its smaller South Asian neighbours like Nepal and Sri Lanka. But these fears are not uniformly shared within the government. As one examines the future of the relationship, it is useful to flesh out the areas where Indian and Chinese interests may actually diverge or converge. If we divide Indian foreign policy analytically into three concentric circles encompassing South Asia, Asia and the world, then it is primarily at the Asian level that the two powers are rubbing up against each other. Within South Asia, which India would like to develop as a cohesive economic space, the primary obstacle is Pakistan. To be sure, Pakistan benefits a great deal from the military and economic help it receives from China, especially in the nuclear and missile spheres. But even in the absence of an axis with Beijing, the binding constraint in South Asia remains the role of the Pakistani military establishment in determining the fate of that country. Elsewhere in South Asia, it may hurt Indian pride to see a major infrastructure project in Hambantota, Sri Lanka, say, go to a Chinese firm, but this is because Indian companies did not bother to avail of the opportunity. In any case, physical infrastructure of this kind is not a zero sum game. Last year, I happened to give a talk on national security to senior executives from a company with very diverse business interests. One executive asked me whether India ought to be worried by a report he had read recently of China planning to connect Nepal to Tibet by rail. Before I could answer, another executive put up his hand. He was from the clothing division and spoke about how the company’s factory in Nepal imports fabric from China by sea via Kolkata. Each journey takes six to eight weeks. “If a rail link comes up from Tibet, I’ll be able to bring in my shipments within ten days,” he said. The wider point is that as China grows, Chinese companies will increase their presence in South Asia, especially India. By the same token, Indian businesses and economic interests are also getting entrenched across Asia, including South East and East Asia, where Japanese dominance has already made way for both China and South Korea. These developments would become “threatening” if they are imbued with a strategic dynamic that is powerful enough to overturn the imperatives of geography. In both South Asia and East Asia, for the foreseeable future at least, this is unlikely. Globally, other than at the highest table — the United Nations Security Council — India and China have more in common with each other than with other big powers. True, Chinese companies have made spectacular commercial inroads in Africa but many of the infrastructure projects they have embarked on will generate multiplier effects that will create space for Indian and other companies to get involved. But it is on the question of Asia — East Asian security and the related question of maritime security in the Indian Ocean — that India and China seem, at least superficially, to be working at cross purposes. From the Chinese point of view, preventing a U.S.-India axis in Asia is a key priority. As New Delhi draws closer to Washington, Beijing feels it necessary to make its own overtures towards the Indians but also to take “defensive” measures of one kind or another. That is why China has alternated between criticism and negative rhetoric, on the one hand, and blandishment on the other. But this is a risky strategy. Overshoot with the negativity and you run the risk of driving India into willing American arms. Overshoot with the platitudes and the Indians may end up taking you for granted. It is my sense that the Chinese inability to deal with the dynamics of the Indo-U.S. relationship is responsible, in large measure, for the up-and-down perturbations we have seen in the bilateral trend line since 2004. India, too, has allowed itself to be paralysed by the prospect of a Sino-American axis and has tended to retreat into a strategic shell whenever the concept of G-2 rears its unwelcome head. Today, with G-2 in retreat and the Obama administration repeating the Sino-centric overtures to India that George W. Bush did, New Delhi needs to play its cards wisely. Prime Minister Singh should explain to Premier Wen that India wants strong relations with both China and the U.S., that it does not see one as a substitute for the other and that it certainly does not intend to sacrifice one for the other. Second, that India and China need to work closely together on issues of Asian security and the emerging security architecture, and should not leave the heavy lifting that may be required to outside powers. Third, given China’s critical dependence on shipping, especially energy, across the Indian Ocean, and given India’s strategic location at the centre of east-west SLOCs, the two countries ought to cooperate more on broad maritime issues, including anti-piracy, marine pollution and ensuring the openness of the sea commons. Broadening the regional and global agenda is the best way to move away from the rancour that the boundary question has started to generate. Sixty years have already elapsed without it being settled. Waiting a few more years should not be a problem for either side. The prison that Indian foreign policy has gotten into, and that is being exploited by practically every power, big or small, US, China, even Russia included is that they play Pakistan against India and seek to use that terrorist state to keep India under 'control'. To a great extent we have ourselves to blame for that, not Chinese, not US. It is a rut the chariot has fallen into and it is up to us to lift it out of it. Excluding extreme options such as the complete destruction of Pakistan (and lots of damage to India) in a 'aar-paar ki ladai' as ABV put it, how to get out of this jail and come out powerful so that no nation is tempted to play that game again, is the biggest challenge. Solve that, rest will fall in place. Reaching accommodation with Pakistan is a nonsensical option, not just because of army control over state but also because of the congenital, maximalist 'green flag at Red Fort' instincts of practically every Pakistani leader. Nudging or even openly influencing a breakup of Pakistan seems viable. So is increasing economic strength to a point where relative importance of Pakistan is immaterial. Until then sending a clear message to PRC that their game-of-choice is delaying or even denying their own strategic goals in Asia vis-a-vis US/Japan/SEA/West Asia by forcing us to play truant is the best option. The commies are smart, they will know a costly game of diminishing returns, when they see it. Who knows, Wen or his successor one day may arrive bearing the symbolic head of Pakistan on a tray in exchange for India keeping a more balanced policy vis-a-vis PRC in Asia and elsewhere. As a nation of fanatic barbarian terrorists with no oil, Pakistan serves no useful purpose to China other than to threaten India with. What else do we expect from SV? Having said that, China is doing exactly what is needed from their national interests. What is lacking is Our administrators and politicians growing spine, to do the same. Just take care of our national interests. This entry was posted on December 15, 2010 by Siddharth Varadarajan in China, Indian Foreign Policy.